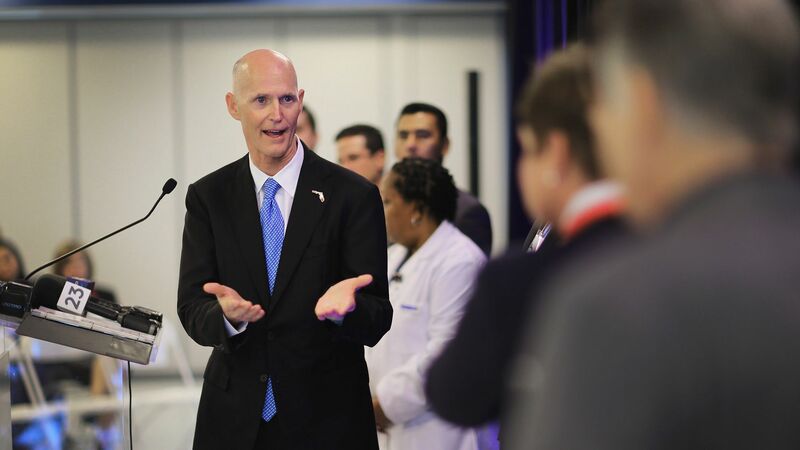 Florida has awarded new five-year Medicaid contracts collectively worth more than $15 billion annually to a handful of health insurance companies, most of which already had contracts with the state. The big picture: Florida runs one of the largest Medicaid programs in the country, making these contracts that start in 2019 extremely important to the insurers that get them as well as the 3.1 million low-income people who get care through the plans. The winners: Incumbent insurers Humana, WellCare Health Plans and Centene gained hundreds of thousands of new Medicaid members. Gary Taylor of J.P. Morgan Securities estimates that translates into $1.3 billion in new revenue for Humana, $500 million in new revenue for WellCare and $264 million in new revenue for Centene. Aetna, Anthem and UnitedHealth Group also retained contracts, although they didn't gain market share. The losers: Magellan Health and Molina Healthcare, both of which had contracts with Florida, were completely shut out. Magellan already plans on appealing the state's decision. Wall Street investors hammered Magellan's stock, which fell 17% Wednesday, on the prospect of the company losing more than $600 million, or a third of its annual revenue. Some context: Most health insurers have a 2% profit margin on these kinds of Medicaid contracts.